I hope all you readers are enjoying or will enjoy your stay in Japan. My name is Angela. I was born and raised in Shanghai, spent my high school/ university years in Canada, and now I am currently living in Tokyo, Japan. One thing that I found really confusing, and still find really confusing is the hospital/ clinics, and medication in Japan. Sometimes, Japan can be a little unfriendly towards foreigners in these terms. There are numerous times where I found myself looking for medication similar to Tylenol and Aspirin and failing horribly because everything is written in Japanese characters. Well, for everyone who’s ever experienced the same problem that I have, and for tourists who are planning a trip to Japan sometime in the near future, I hope this article will be somewhat helpful when you find yourself ill and in a pinch in Japan as I intend to introduce some common drug stores and medication that are popular with Japanese people.After surveying a number of Japanese people in Tokyo, the results for the TOP 5 Drug Stores are below. 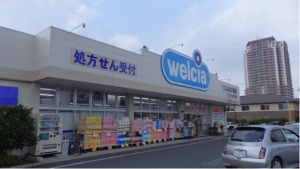 If you plan a trip to the suburbs of Tokyo, you might see Welcia, one of the largest drug stores in term of size. Although Welcia is only found in the suburbs, the best part about Welcia is the size of the store, and the abundance of products in stock. Personally, I also think that the price of the products is often cheaper that other minor Drug Stores. (Possibly by stocking up in large quantities, they are able to lower their prices when compared to competitors.) 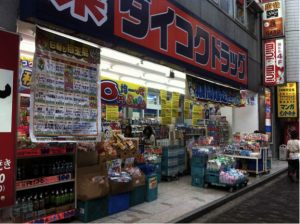 You can find many items in Welcia such as medication, cosmetics, snacks, cup ramen, and other food and drinks at a cheap price. Although it might same a little strange, I highly recommend buying foods and drinks at drugs stores when you can because it’s cheaper than convenient stores and even some super markets. Drug Papas is often found in the outskirts of Tokyo, and because of this, the size of the store is rather large. Similar to Welcia, which is ranked in 5th place, Drug Papas not only sells medication and cosmetics, you can also find food and drinks at cheap prices. The price of products in Drug papas is almost the same as Welcia. Personally, the difference between Welcia and Drug papas in terms of stock and price is quite similar. However, perhaps because of the fact that the access to Drug Papas is more convenient (can be found just on the outskirts of Tokyo), it is ranked in 4th place in the survey. 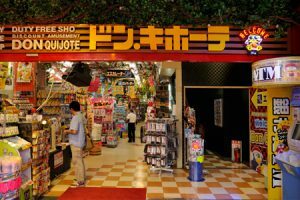 This drug store can be found in Tokyo, Kanagawa, Chiba, Ibaraki, Saitama, Gunma, Shizuoka, and even Aichi Prefecture.Compared to No5 Welcia, and No4 Drug Papas, “Create” is typically somewhat smaller in terms of size. Create is one of my favorite Drug Stores, and it seems that they often carry the latest medication and cosmetics. Although the price is a little higher than Welcia and Drug Papas, the difference in price shouldn’t be too big of a problem. 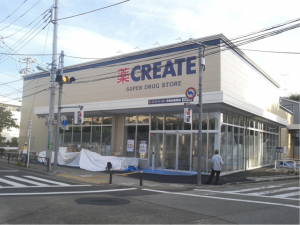 And because of the convenient access, Create is ranked in 3rd place in terms of most popular Drug Stores. Daikoku Drug is a well-known drug franchise that can be commonly found in western Japan, such as Osaka and Kyoto. Daikoku drug’s feature is its cheap price. Medicine and cosmetics displayed at the front of the store is discounted significantly and a great bargain. For anyone who is traveling to Osaka and looking to purchase some cheap medication, I would recommend going to Daikoku Drug. 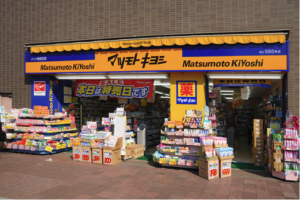 Matsumoto kiyoshi can be said to be the largest drug store franchise in Japan. You’ll be able to find it anywhere when traveling in Japan. Products that are on display in the front of the store are considerably discounted and a great bargain. You will be able to find Matsumoto kiyoshi regardless of whether you are traveling to the countryside or the city center. By all means, you should at least try to visit this place once. you can also find some medication in Donki Hote. However, depending on the store, some places don’t carry medication, or the variety of medication carried is extremely limited. So for those who are really looking to buy medicine, I would recommend you go to an actual drug store. 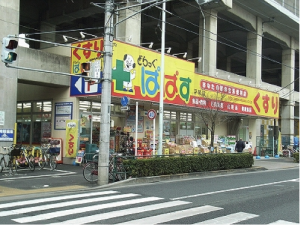 Especially since Donki Hote carries a variety of other products, it is often crowded, and hard to grab hold of a clerk. I hope you liked my review on Drug Stores. And hopefully you will find a good shop that carries the medicine that you are looking for. Enjoy your trip in Tokyo!